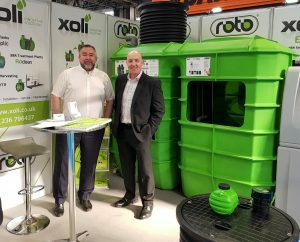 Roto are delighted to announce the appointment of K Pipe as stockists of the Roto range of wastewater treatment products including pumping stations for northern England. Mark and the team at K Pipe have been setting high standards for many years, offering excellent customer service and extensive product knowledge in the wastewater and drainage industry, and we are delighted that they are on board, offering the Roto range across northern England. The appointment of K Pipe as stockists in Lancashire now gives us the opportunity to provide the full Roto range across northern England and Scotland. 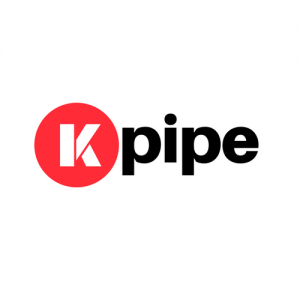 We look forward to growing the range of products with K Pipe and wish them the best of luck for the future. Shown above on the left is Mark, owner of K Pipe along with Eric from Xoli; working together at the 2019 Homebuilding and Renovation Show. If you would like any further information on the Roto wastewater systems, please call K Pipes to see what system they recommend for you.